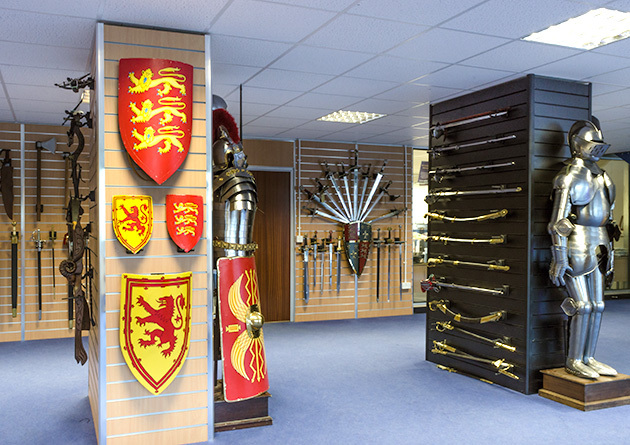 If you would like to see any of our products before you make a purchase, you are welcome to visit us at either of our 2 stores in North Wales. 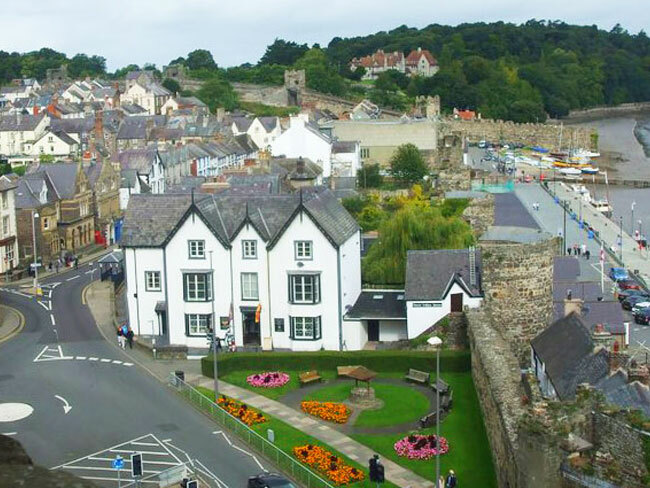 Our busy shop is located opposite Conwy Castle and is stocked with a selection of our best selling lines. The majority of these lines are below £100 and more suited to impulse purchase. The shop is also stocked with smaller, more breakable lines such as figurines that are not featured on our website. 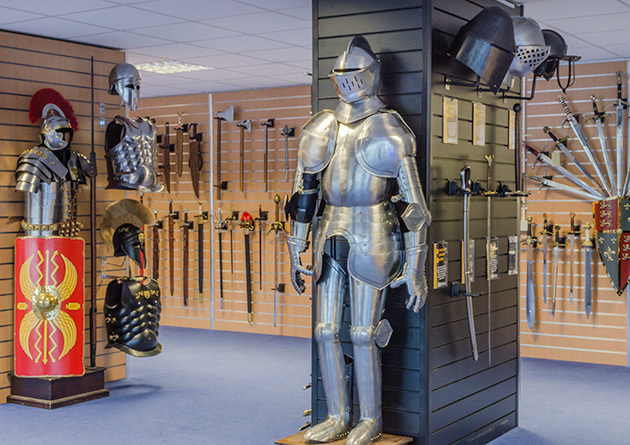 At any one time there are approximately 40 different swords to choose from along with a selection of helmets, pistols and daggers. There are also several different varieties of mead to taste and purchase in store. 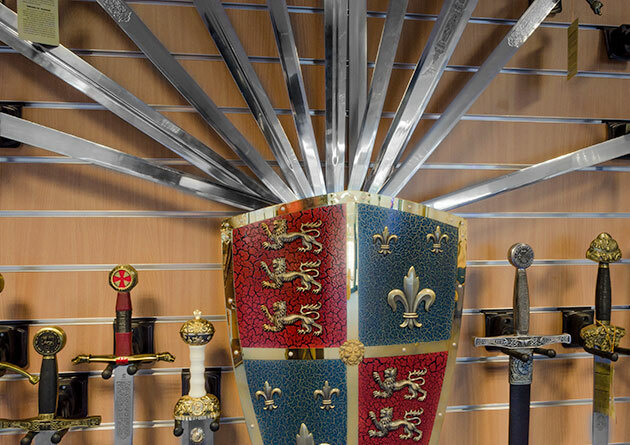 The Knight Shop – Conwy also has a counter dedicated to printing Coats of Arms and Surname History. 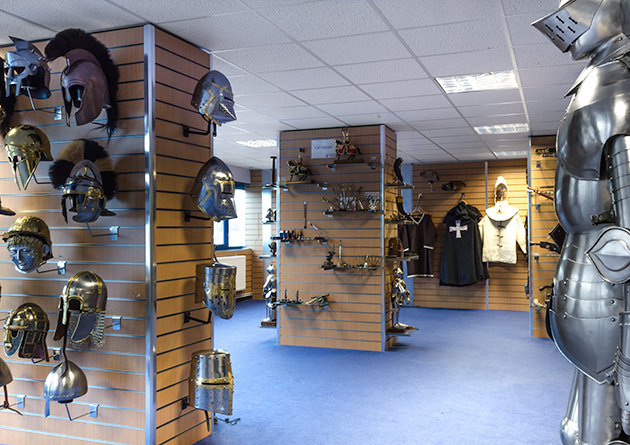 Please note that our Conwy store does NOT stock costumes. 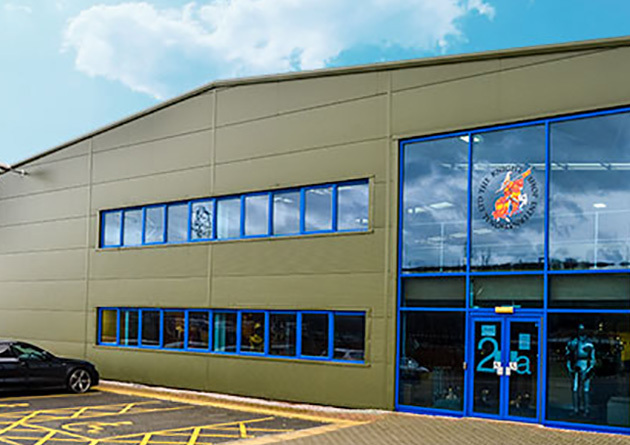 If you require a specific product we advise that you call or email us about stock availability first before making the journey. 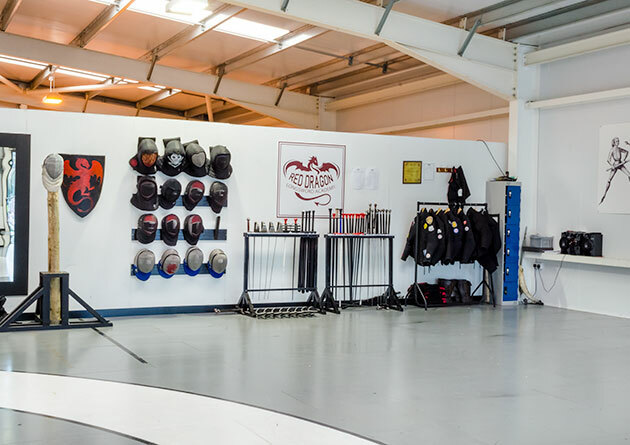 Our 12,000 sq.ft. premises are at the centre of our operation. 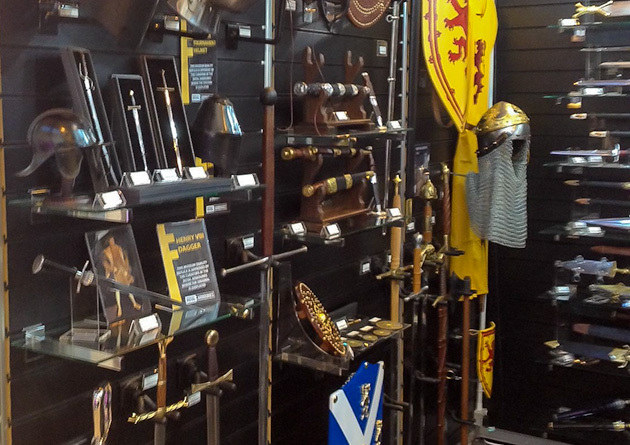 Our on-site Trade Showroom has many of our wholesale lines on display and is not really suitable for browsing by the general public. 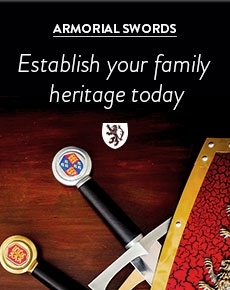 If you require a specific product or would like to try before you buy then please call us to make an appointment. We can then advise you about stock levels and allocate you a member of the sales team to better serve your needs. 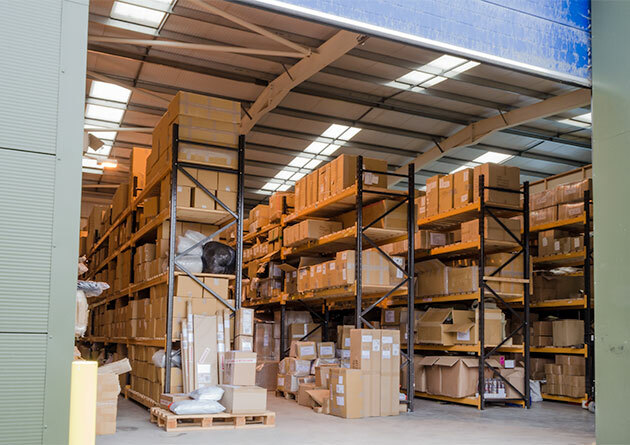 We feature over 2,000 products on our site and not all of them are held in stock at our warehouse. 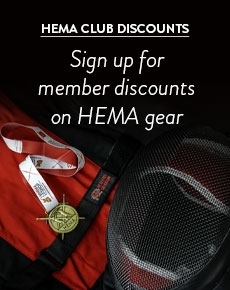 In general, if the item is listed as “In Stock” on our site, it is normally available. Items with longer lead times may have to be ordered in. Please call or email us to make an appointment before making the journey. 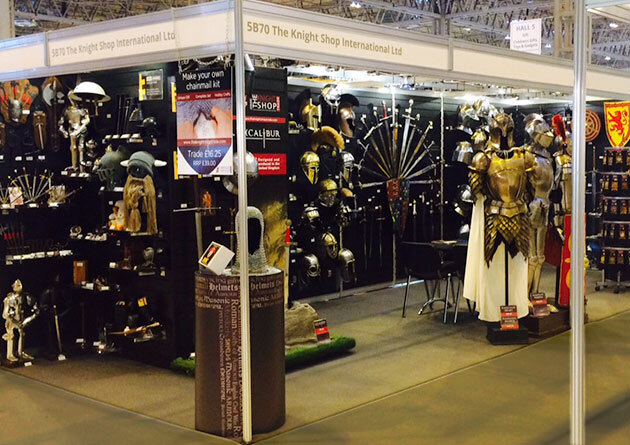 Wholesale customers are welcome to visit our stand at the NEC Spring Fair in Birmingham. 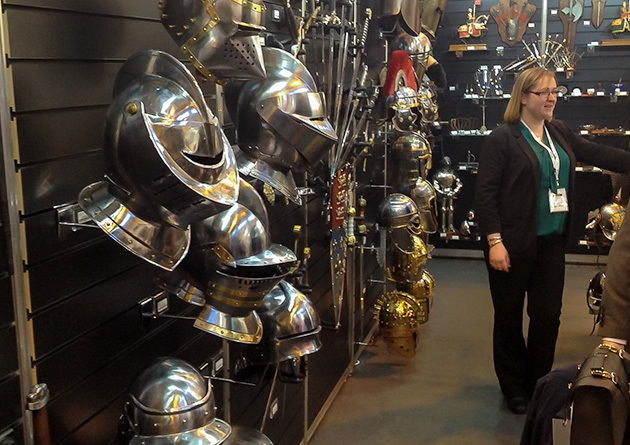 This is the UK’s largest gift fair and we are regular exhibitors there. 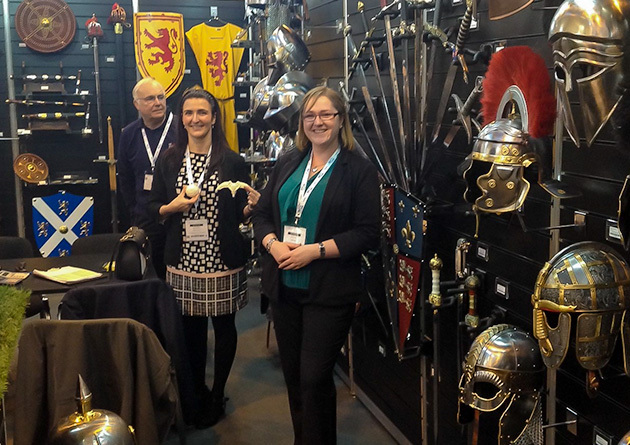 We choose this event to showcase many of our new lines for the year and find it a great place to catch up with our regular trade customers. 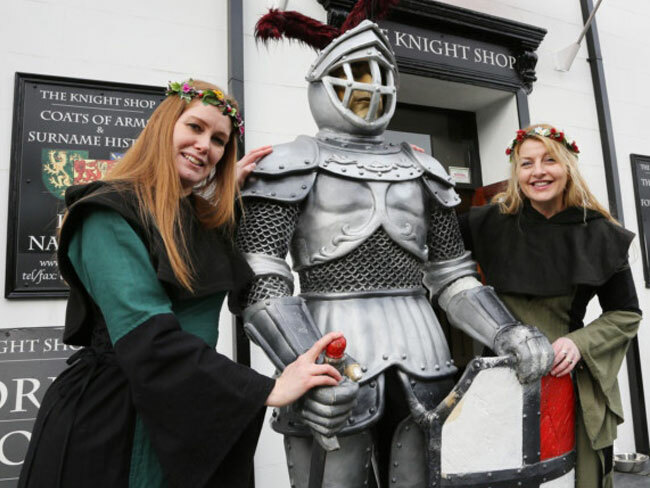 If you are interested in becoming a trade customer please visit The Knight Shop Trade (TKS Trade) site.